* Made of PP material, component storage container is durable for use. * Size of each grid can be adjusted by removing the PP sheet at the bottom layer. Each adjustable compartment is straight and smooth to remove. 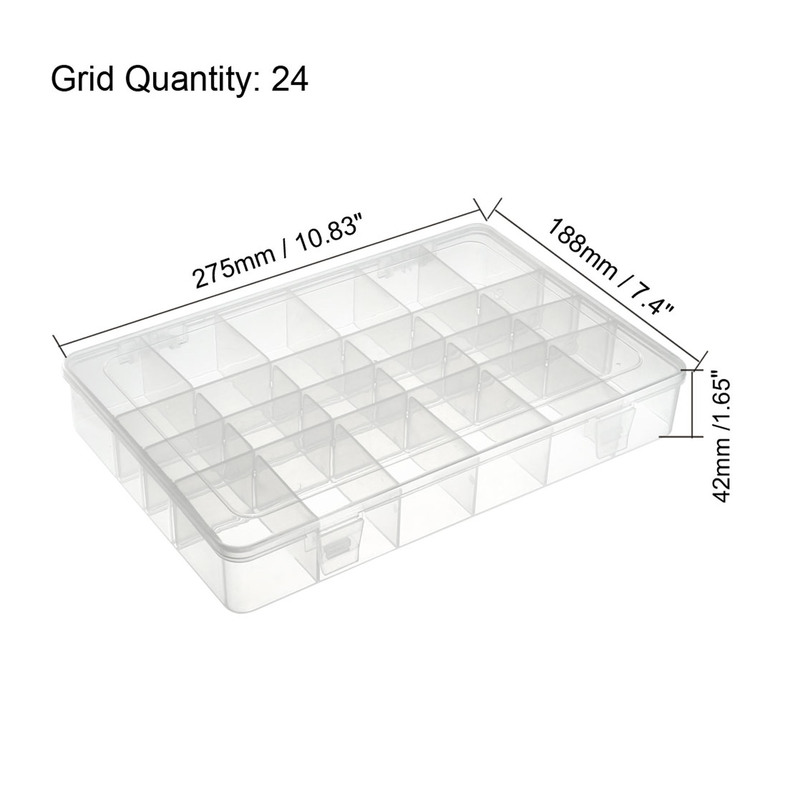 There are slots under the box cover so that the grid can be tightly closed. * Suitable for storage of electronic components, jewelry, cosmetics, stationery and small tool kits. Can be used for storing IC chips, nails, screws, nuts, bolts, washers, earrings, beads, thumbtack, clips, fishhooks and other small parts.